Hello, friends I came here with a new trick which is essentials for every android user who are spent their almost time on downloading. when its comes to high-speed downloading, UC browser is the top most browser and it is using by million of people around the world but it has some cons i.e. downloading and stopped and not resume again and it shows a message Retrying (1), retrying (2), retrying (3)……..this is very big problem in this browser and this problem also occur in PC but there are lots of methods to solve this issue. 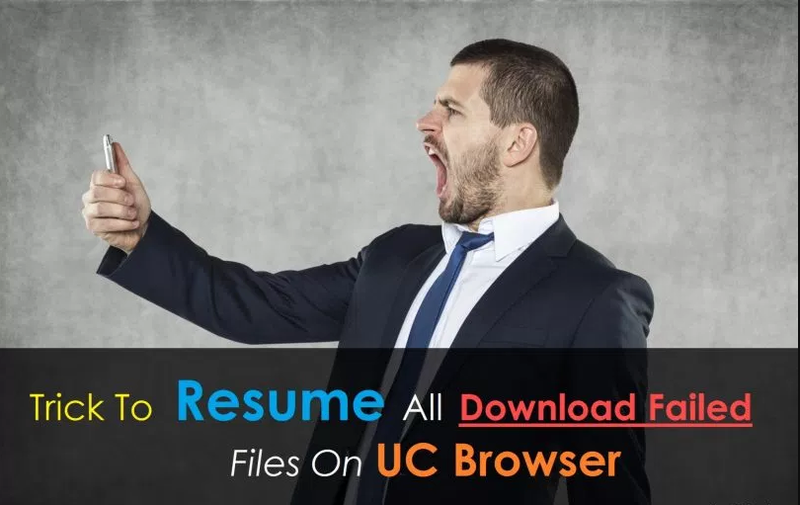 However, in a case of android smartphones, there is a working method to Resume UC Expired/failed/dead Download Links which we are going to share in this post. I’m also facing this problem when I download an 18 GB RAR file and it got stucked at 94%, then I did google term “how to resume expired link in UC browser in Android” then the first page I found that “Kashif, member of XDA-Developers forum” has already shared a method to get rid of this problem and this method fine worked for me. Then I’m sharing this trick also with you t help you to resume and expired/failed download link in UC browser. Step 1: First Goto File Manager > UC Downloads > Then Find Your Downloading File And .tmp File Just Below Your Downloading File. Eg: I’m Downloading howtoshout.apk And It Fails At 53%. So Now I Need To Goto File Manager > UC Downloads > And I Have To File Named xperttricks.apk and xperttricks.apk.tmp files. Step 2: Now We Have To Move Those Files From UC Downloads Folder To Any Other Folder. Step 3: Then again we Need to Open UC Browser App And we’ve to delete howtoshout.apk file from Downloading Files. Step 4: Now We Have To Download the Same File Again From The Same Link For A Minimum Of 2-5% and pause it. Step 6: Now Goto Folder Where You Moved First Two Downloading Files And Move Them Back To UC Downloads Folder. Step 7: Now open UC browser app again and goto Download Manager and Resume Your Download. This trick is only work resume supported link, it doesn’t work with “Resume Not Supported” files.